"Enhancing Education for a Better Life"
Eulogio 'Amang' Rodriguez Institute of Science and Technology (EARIST) is a chartered state college of the Philippines located at Nagtahan Road in Manila. The college was named after Senator Eulogio 'Amang' Rodriguez of the Philippine Senate. The college became famous for its excellence in voc-tech education programs. From being a voc-tech institution, it evolve into offering other baccalaureate, masteral and doctorate degrees. 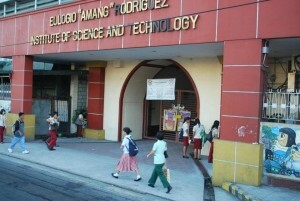 The Eulogio "Amang" Rodriguez Institute of Science and Technology (EARIST) was established after the liberation of Manila in 1945. EARIST started as a vocational high school with only a room at the second floor of the Mapa High School, nine teachers, a clerk, and 147 students under Mr. Pantaleon Regala, its principal. Its former name was Eulogio Rodriguez Vocational High School (ERVHS). 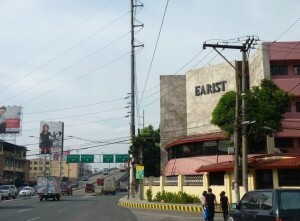 On July 1, 1946, EARIST acquired its present site at Nagtahan, Sampaloc, Manila. Apolinario Apilado was appointed principal and this was followed by Dr. Hilario G. Nudas in 1949. 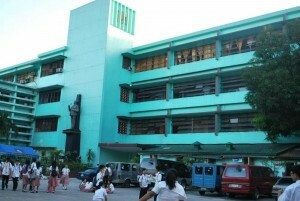 EARIST development were made possible via three Republic Acts and Presidential Decree, to wit: Republic Act 4072, jointly sponsored by Congressman Ramon D. Bagatsing and Salih Ututalum in 1964, authorized the establishment of the Technical Education Department without changing the name of the school. It was headed by a Vocational Director. Republic Act 6595, sponsored by Congressman Joaquin R. Roces in 1972, converted EARMSAT to EARIST with a President as its head. This made EARIST into a full-pledged college and authorized the establishment of vocational-technical school branches in each congressional district of Manila.Presidential Decree 1524, signed by President Ferdinand E. Marcos on June 11, 1978, converted EARIST into a chartered state college with a Board of Trustees as its governing body and Dr. Hilario G. Nudas, as its first College President.